Life Review | Ripley's believe it or not that it's a rip-off. "In the opening moments of the trailers for this movie, it was reasonable to assume it was the trailer for Alien: Covenant, rather than Espinosa’s Life. " 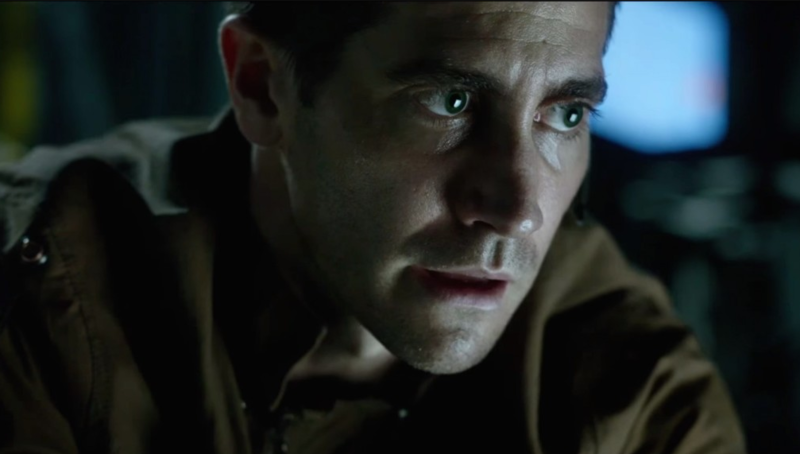 "The space station is occupied by your typical multinational, multi-ethinic scientific and aeronautic crew..."
In the opening moments of the first trailers for this movie, it was reasonable to assume it was the trailer for Alien: Covenant, rather than what it ended up being: Daniel Espinosa’s Life. The sixth film in Ridley Scott’s formidable franchise is due in cinemas less than two months from now, and the same basic scenario is in place: A crew of astronauts brings an unknown life form aboard their vessel, and their attempts to keep it quarantined quickly go belly up. That much was revealed in the Life trailer, and that was probably all we needed to know to set the course for a pretty familiar addition to a pretty familiar genre. However many things Life does right, it still can’t pry the tentacles of its iconic predecessor from its face. If there’s a second movie Life reminds you of, it’s Gravity. We’re living through a renaissance of quality movies set in outer space, and Life is not content merely to do the minimum necessary to bring geeks out in droves. Like Gravity, it too begins with a long take with an insanely high degree of difficulty, as Seamus McGarvey’s camera follows a crew through a serpentine space station as it readies itself to intercept a satellite infested with the alien spores. The camera somersaults around the ship, catching the actors upside down and back to front, assisted by no small amount of digital trickery. If only the ensuing movie had quite the same dimension. The space station is occupied by your typical multinational, multi-ethinic scientific and aeronautic crew, the only difference being that it has two handsome white movie stars (Ryan Reynolds and Jake Gyllenhaal) rather than the requisite one. Then you’ve got your Japanese man (Hiroyuki Sanada), your British man of African heritage (Ariyon Bakare), your Russian woman (Olga Dihovichnaya) and your British woman (Rebecca Furgeson). These six are tasked with studying a Mars soil sample that has indicated the possible existence of organic cells, which would represent the first confirmation of extra-terrestrial life. It’s not little green men, but it is a Martian, and it displays highly sophisticated movement and structure, at first only existing as tendrils about the size of a cat’s whiskers. Of course, you know it’s not going to stay that small for long. But the common element between even lesser astronauts-in-peril movies, like Mission to Mars or Sunshine, is that they all seem to produce at least one truly discomfiting death scene. Life has at least two. The scarcity of oxygen, the coldness, the sense of touching infinity … they all make outer space a particularly scary place to live through your final moments. Anyone who brings these fears with them into the movie is sure to take away a few more images they can add to their personal spook reel. It’s not really enough, though. As conditions deteriorate, the size of the crew dwindles and calamity is ever closer at hand, it certainly feels like we’ve been down this road before. Some ostentatious camera tricks like those in the opening scene, a first-rate production design and decent if forgettable performances only mean that Life is easy to file among a number of highly competent but otherwise indistinct features. It’s the kind of movie that reminds you that being well made, but little else, is the new mediocrity. Life does have a standout finish, though what makes it stand out is probably best left vague in order to give it greater impact. The ending does elevate this movie slightly above the pack. It’s just that this pack is pretty full right now, and this movie isn’t really going to breathe new life into it.